Millets and fenugreek !! 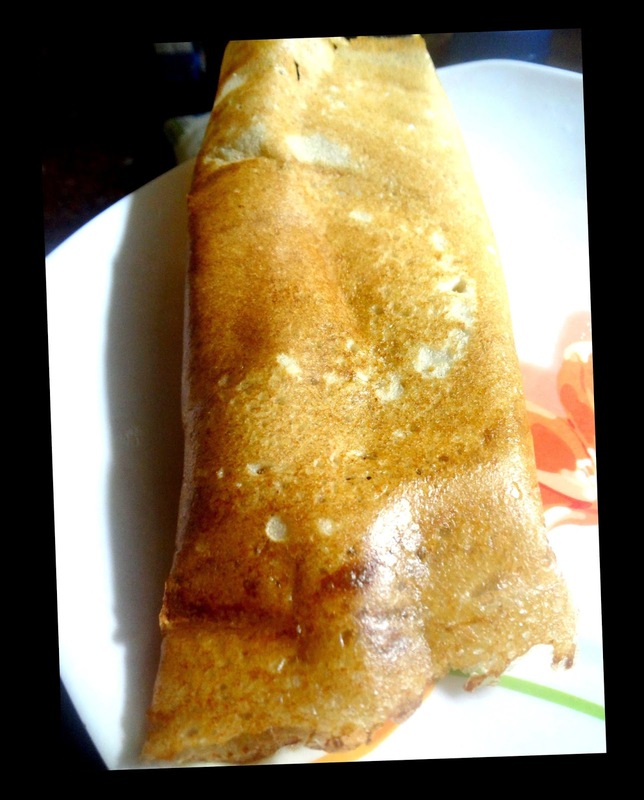 There cannot be a more healthier mix to make delicious soft, porous , crispy edged and soft centred dosas to satisfy all dosa lovers . 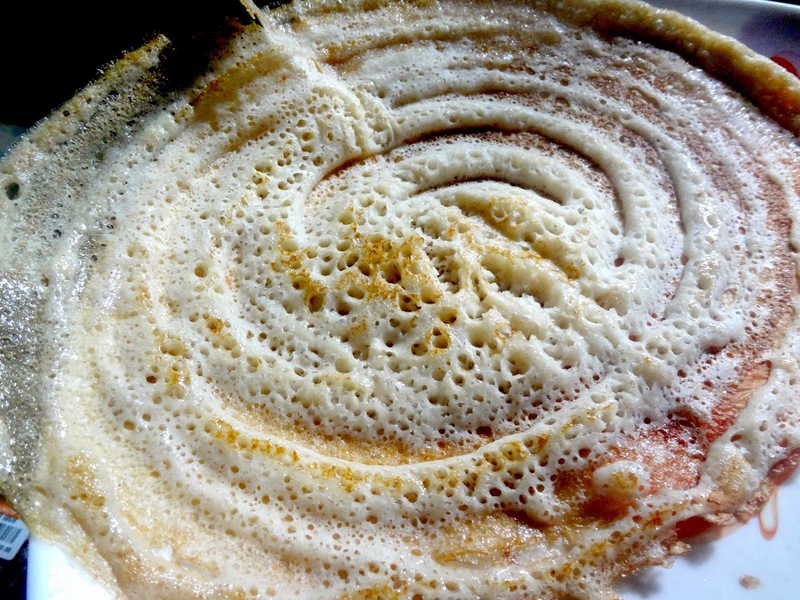 The scent of the ground fenugreek seeds and the amazing colour of the dosa draws you immediately to have the first bite ! 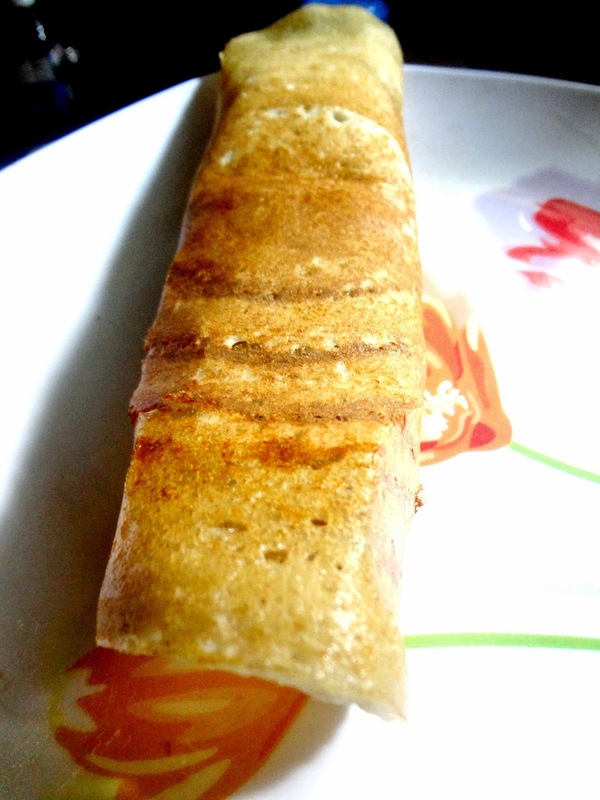 What are the benefits of making this dosa ? The healthy powerful nutrition laden combination of methi and millets . The reduced soaking time of the grains unlike regular dosa , it takes just 2.1/2 hrs of soaking time unlike idli dosa rice which needs more time . You can grind this easily in your mixie and stone grinder is not required as millets and fenugreek seeds grind well in mixie / blender itself. Soak millets , fenugreek seeds and udad dal together . Soak the poha in a small cup separately . After 2 1/2 hrs grind everything together to a smooth thick dosa batter . Remove and keep vessel with batter to ferment either overnight till it appears a little risen with small bubbles . Add salt and stir batter from bottom to top. 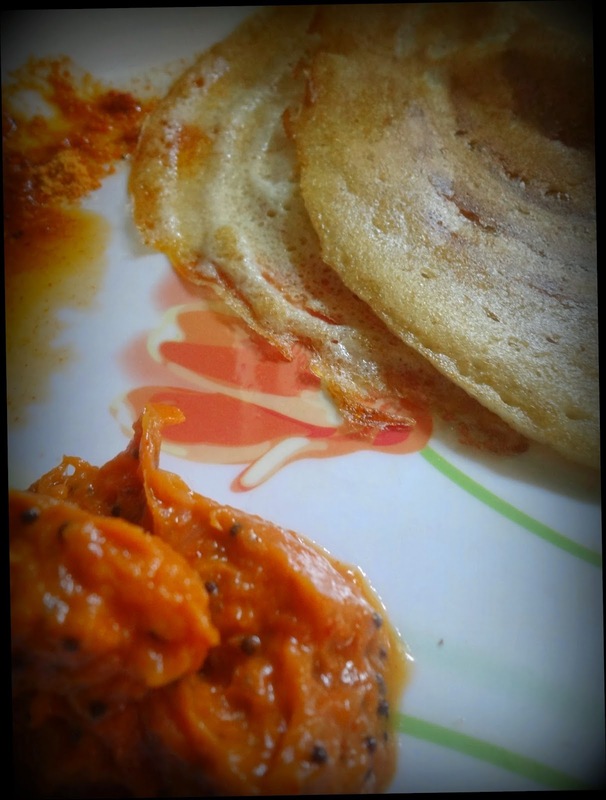 Grease a skillet, wipe dry and make dosas. Serve with chutneys and sambar. Millets are highly nutritious, non-glutinous and not acid forming foods. Hence they are soothing and easy to digest. They are considered to be the least allergenic and most digestible grains available. Compared to Paddy rice, especially polished Paddy rice, millets release lesser percentage of glucose and over a longer period of time. This lowers the risk of diabetes. 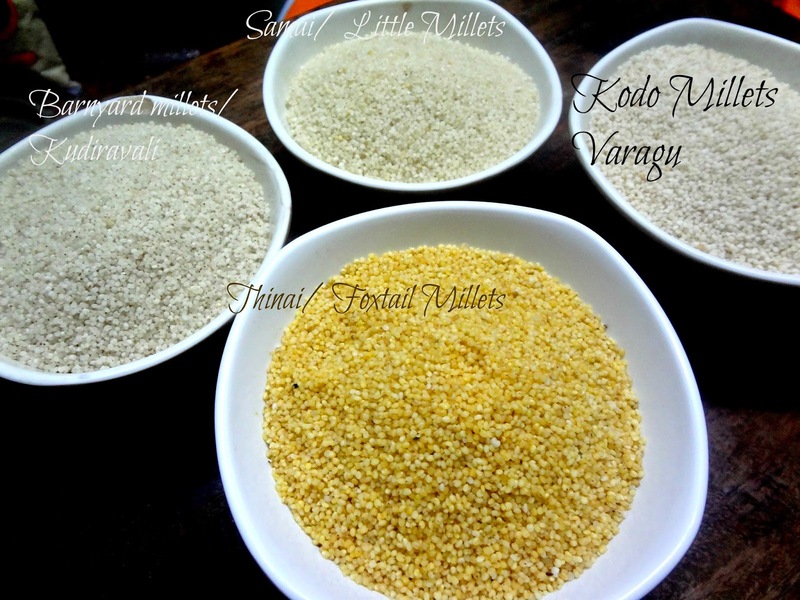 Small millets are more nutritious compared to fine cereals. Finger millet is the most richest source of calcium, and other millets are a good source of phosphorous and iron. Helps in prevention of constipation, high dietary fiber,lowering blood cholesterol, slow release of glucose to the blood stream during digestion., lower incidence of cardiovascular diseases, diabetes. Millets are rich sources of important vitamins. Methi seeds are rich reservoir of medicinal properties like protein, fibre, vitamin C, niacin, potassium , iron and alkaloids. Helps reduce LDL , cholesterol, reduces rick of heart disease. Controls heart rate and blood pressure. Slows down the rate of sugar absorption into blood , therefore beneficial to diabetics. Fenugreek also contains amino acids responsible for inducing the production of insulin..
Aids digestion and flush out toxins, treats constipation, effective remedy for acid reflux or heart burns. Fenugreek seeds are rich sources of minerals, vitamins,phytonutrients. It is good to soak fenugreek seeds in water or buttermilk to get mucilaginous coat which will soothe stomach. A good benefit is it helps to reduce weight , so include it daily by cjewing fenugreek seeds soaked overnight , first thing in morning on an empty stomach. It suppresses hunger pangs as it has natural soluble fibre. Helps flush out toxins thereby reducing risk of colon cancer. Fenugreek seeds are good for skin and hair. A fenugreek seeds paste applied to hair make sit shiny and stops hair fall. 100 grams of seeds provide 323 calories. The seeds contain soluble dietary fibre. The compounds present in fenugreek help lower LDL- Cholesterol levels by i bile salts re absorption in the colon. It helps to increase the bulk of the food and augment bowel movements,helps in easy digestion and relieve constipation. The seeds are used in traditional medicines to make laxatives, digestive and as a remedy for cough and bronchitis. If used regularly fenugreek seeds help control cholesterol, triglycerides as well as high blood sugar ( glycemic ) levels in diabetics.